The main challenge in Snake & Ladder Roku was to navigate the game piece, according to die rolls. The game piece moved from the start to finish facing the snakes and ladders. To design the game board having numbered squares in a grid shape. Also the “ladders” and “snakes” are pictured on the board, each connecting two specific board squares. Implementation of multiplayer functionality and set the complexity of the computer mode. To implement the animation node and set the rolling animation to die on ok click. Also handling the ok click during the computer’s turn. Initially, we designed the game board having numbered, gridded squares and number of “ladders” and “snakes” using the scene graph’s different renderable nodes. We used different scene graph poster and animation nodes and set the image running animation to die roll and show the number to move the piece. Implemented logic in BrightScript to handle the ok click to roll the die and handle the ok click control during the computer play. Successfully designed the game board having numbered, gridded squares, die and the number of “ladders” and “snakes”. 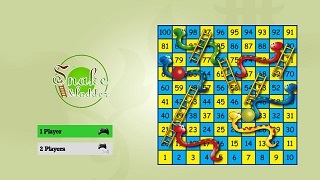 Snake and Ladder lovers finally found their long lost game at the Roku Channel Store.